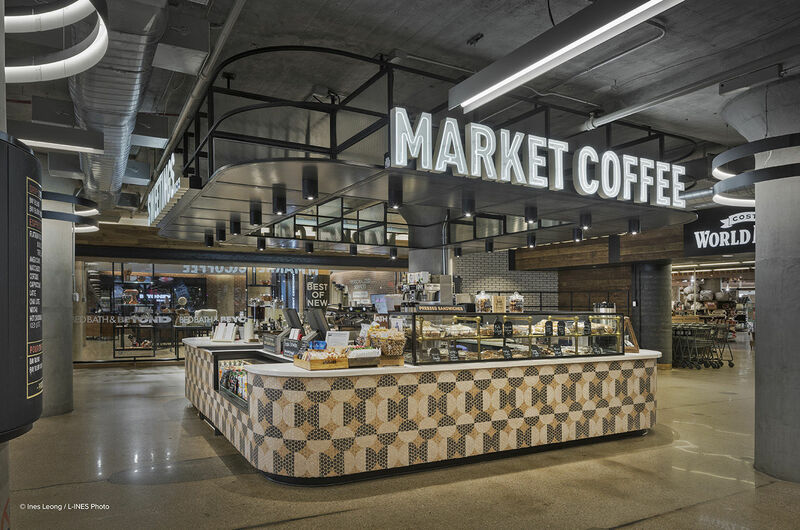 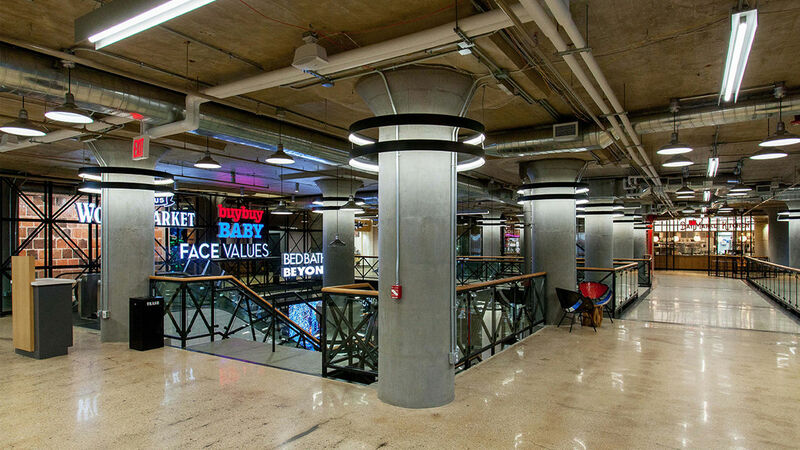 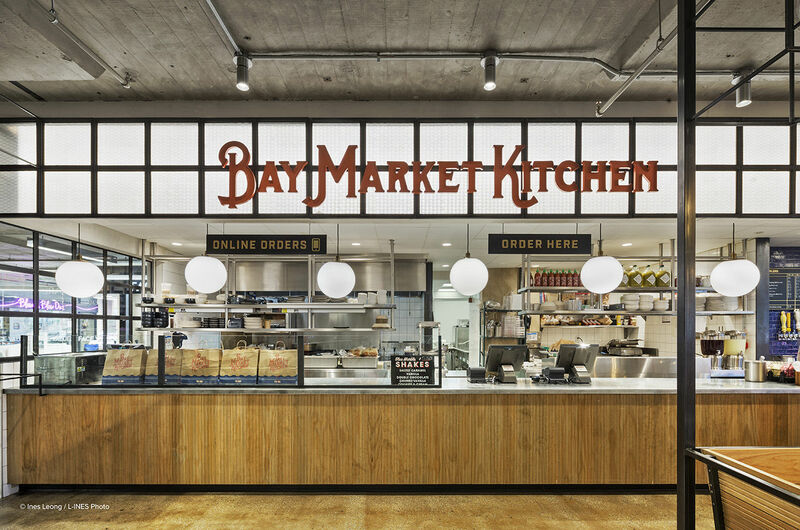 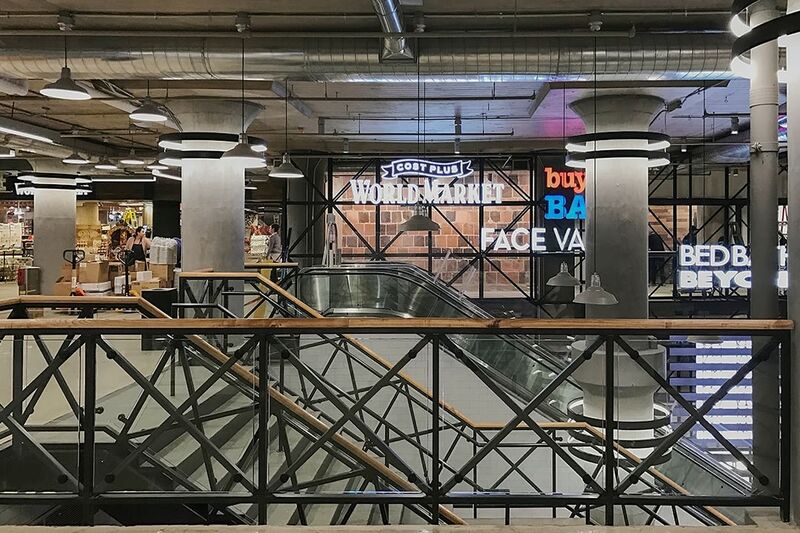 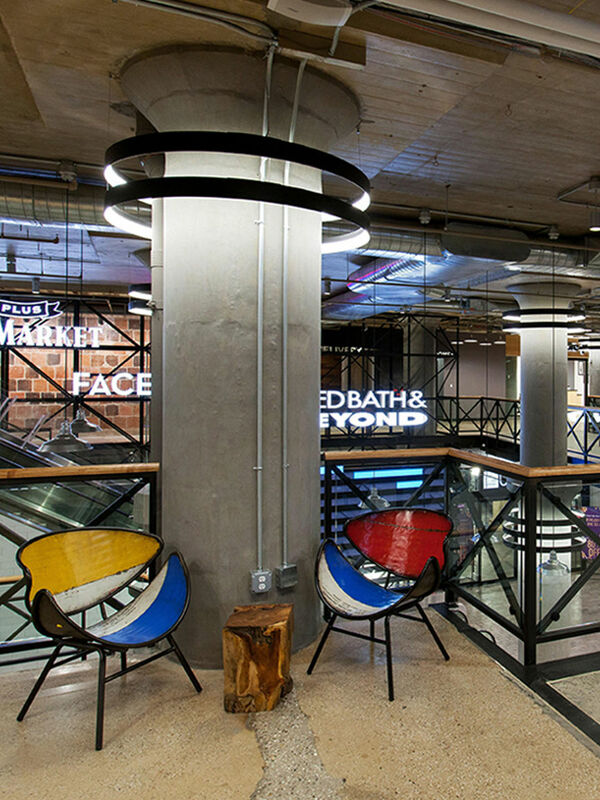 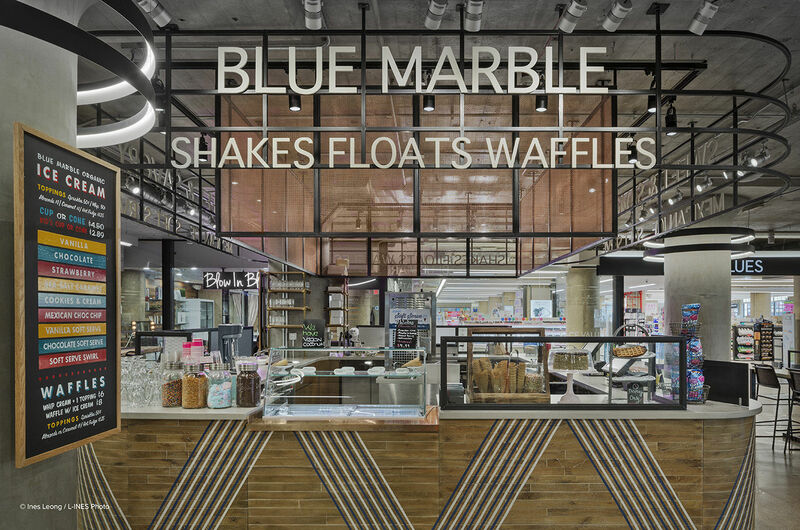 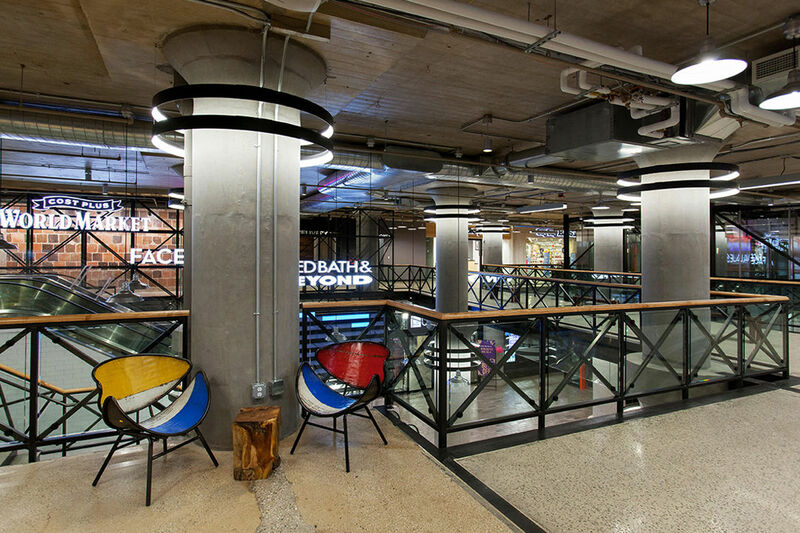 This a historical site that has been re-purposed into a retail market with a large common lobby space featuring food kiosks, restaurant, circulation space, and demo kitchen. 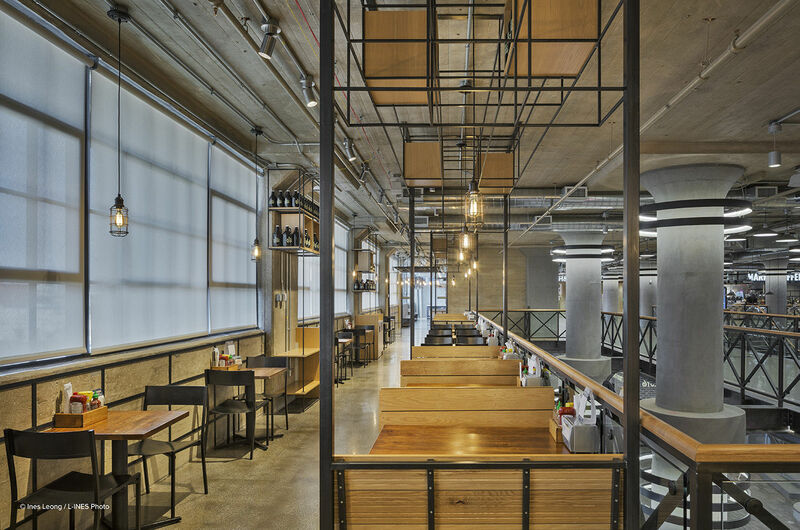 The challenge was to acknowledge the historical factory feel, while also create a fresh lively environment. 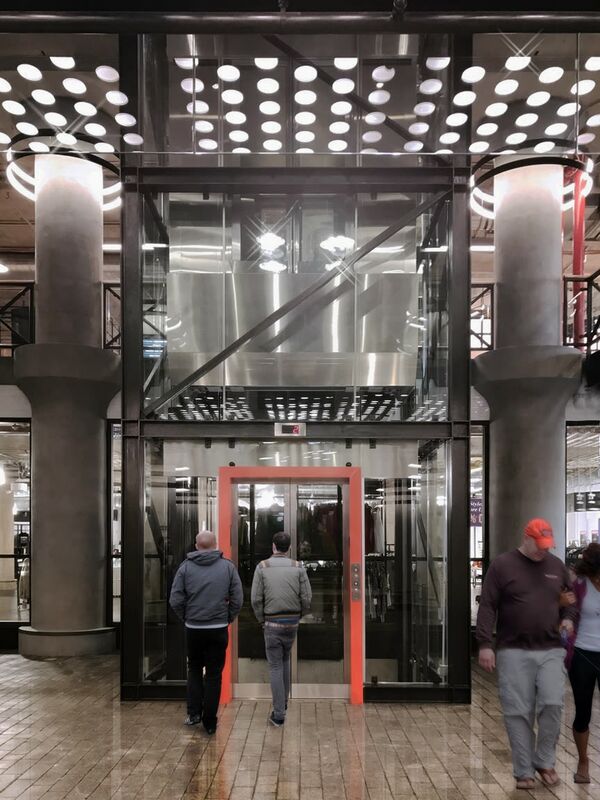 The focal point upon entry is the backing lighting of perforated panels on the underside of the bridge. 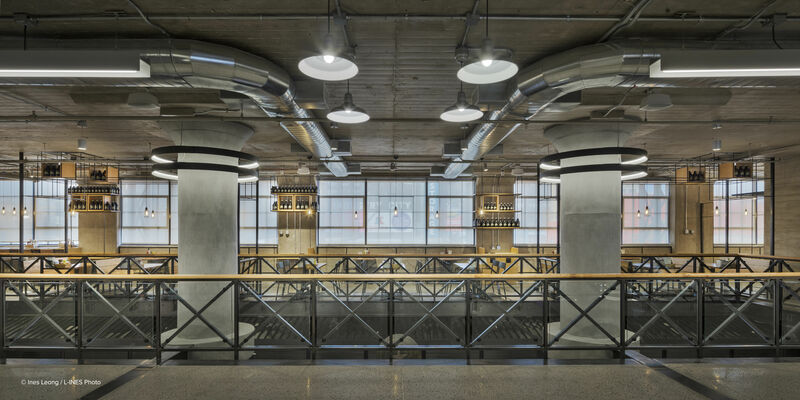 This effect is inspired by the glass vault lights laid into sidewalks to allow daylight to reach the basement floor of factories in the 19th century. 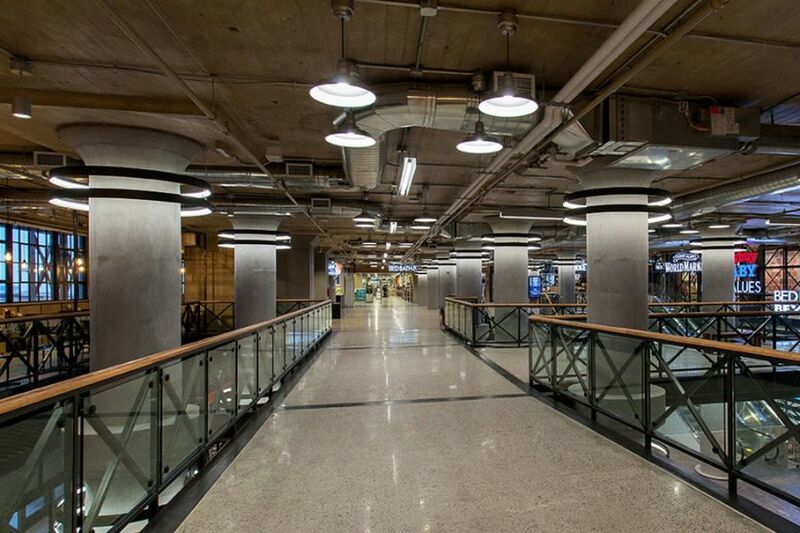 The underside of this bridge recreates what it would feel like to be in the basement level of one of those factories. 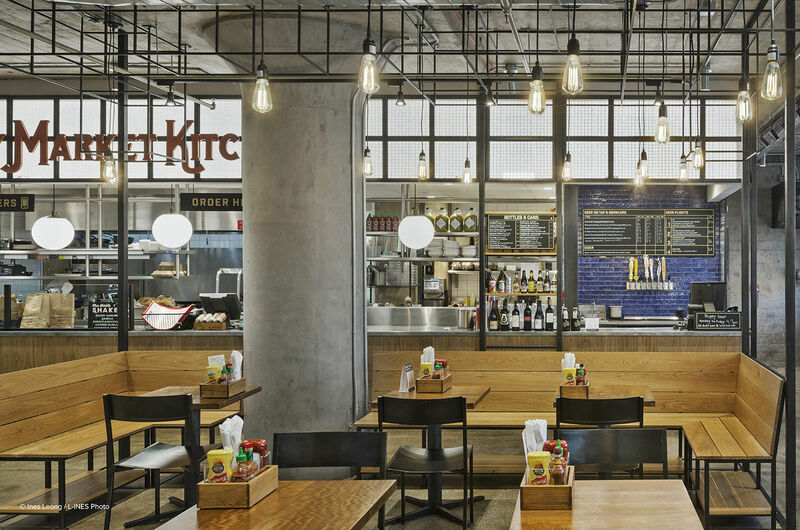 Clustered RLM shades and custom linear lighting in the shape of “I” beams play into the authentic industrial factory aesthetic. 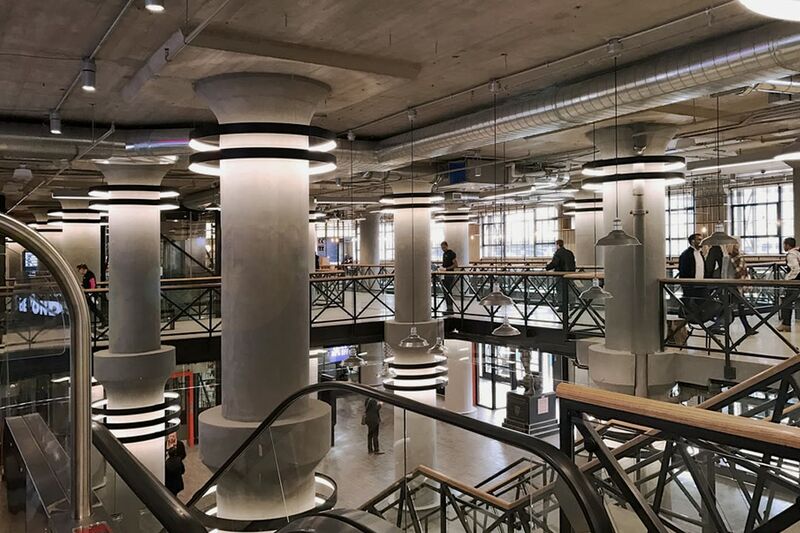 The main architectural element is the repeated massive columns that flare out to meet the ceiling. 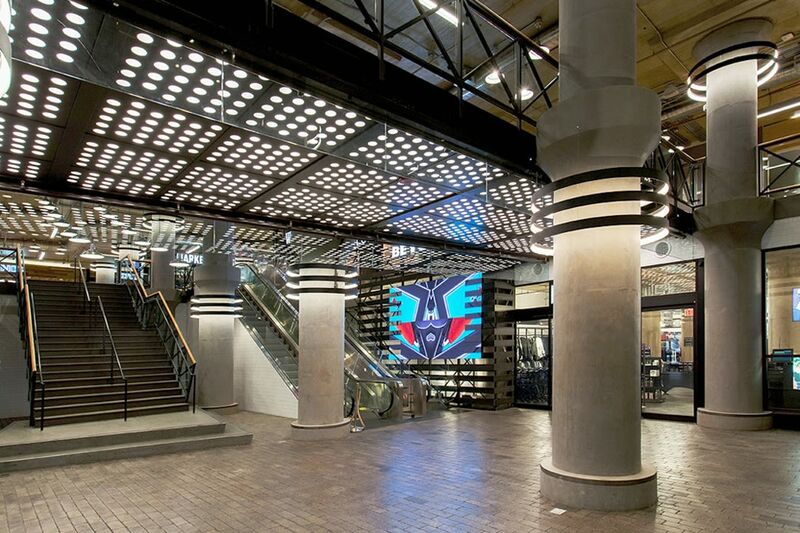 Wrapping each column in layered continuous glowing rings emphasizes their strength and presence throughout the space.